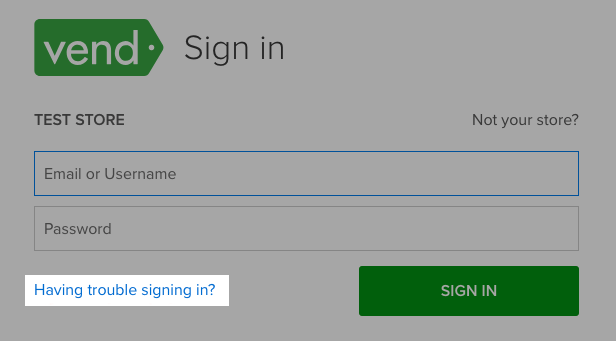 Reset Your Vend Password – How can we help? 1. 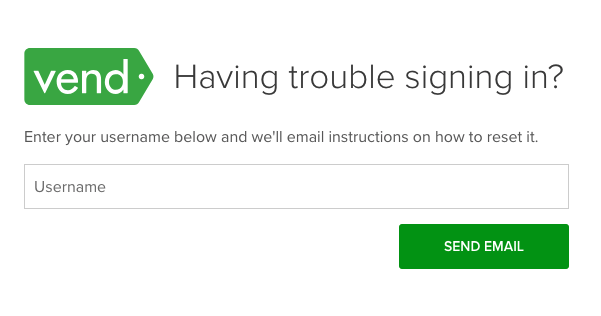 Head to your sign in page and click on the Having trouble signing in? link. 2. You will then be taken to another page where you will be asked to enter your Username and click on Send Email. 3. A password reset email will be sent to the email address set in your user profile. You will then be able to reset your password. 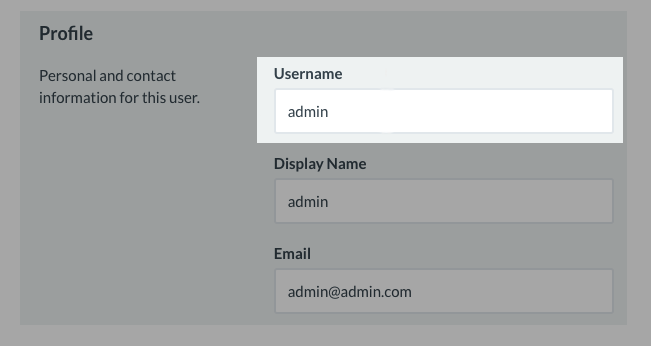 Note: If you are the primary admin for your Vend account, your username will always be your email address. For any other user, your username may not necessarily be your email address. Usernames could be a name or an email address. Therefore, it is important to note what your username and email address is when setting them to avoid confusion in the event that you may need to reset your password in the future.